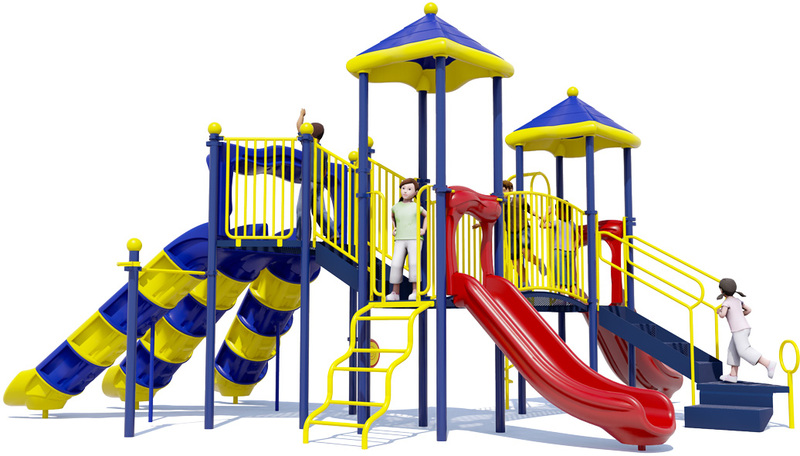 The Triple Double playground packs sliding and climbing fun into every square inch. 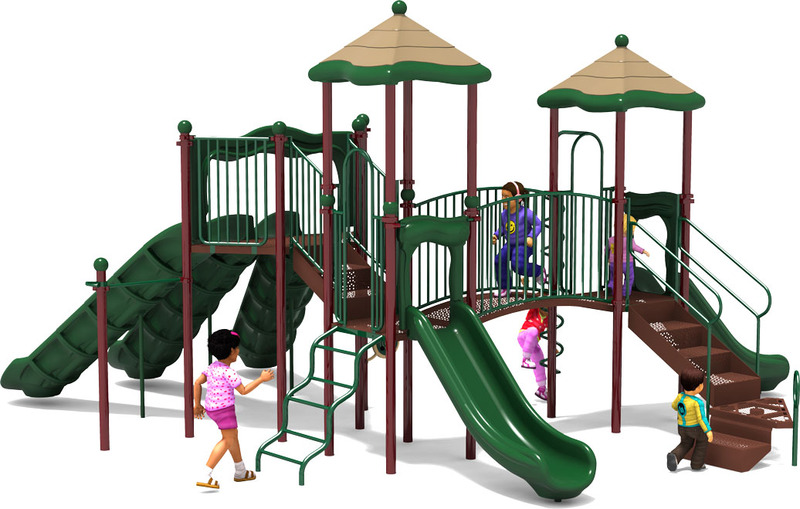 This commercial playground structure entertains up to 45 children ages 5 to 12 years old with its 11 unique activities, and provides not one, not two, but three exhilarating Avalanche Slides. There are three challenging and fun ways to access the exciting slides. The Triple Double provides a Coil Climber, standard 2'8" Rise Stairs and a fun Wiggle Wave Climber. All of these work to improve children's health and physical fitness. 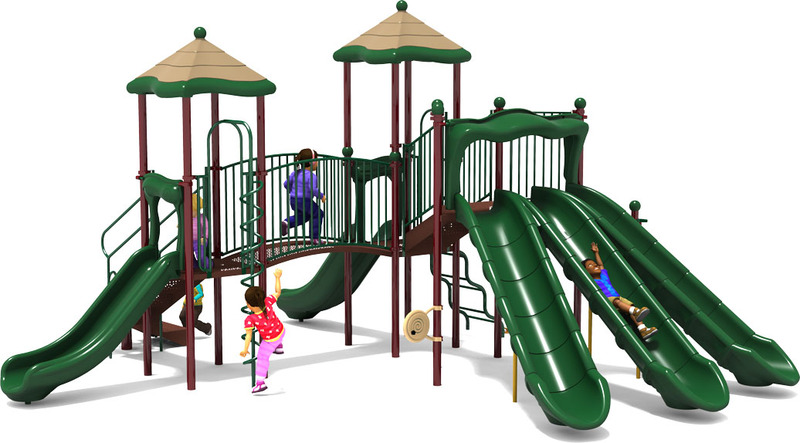 Children love to race their friends to the top and slide down in tandem on this entertaining playground structure that encourages group play. 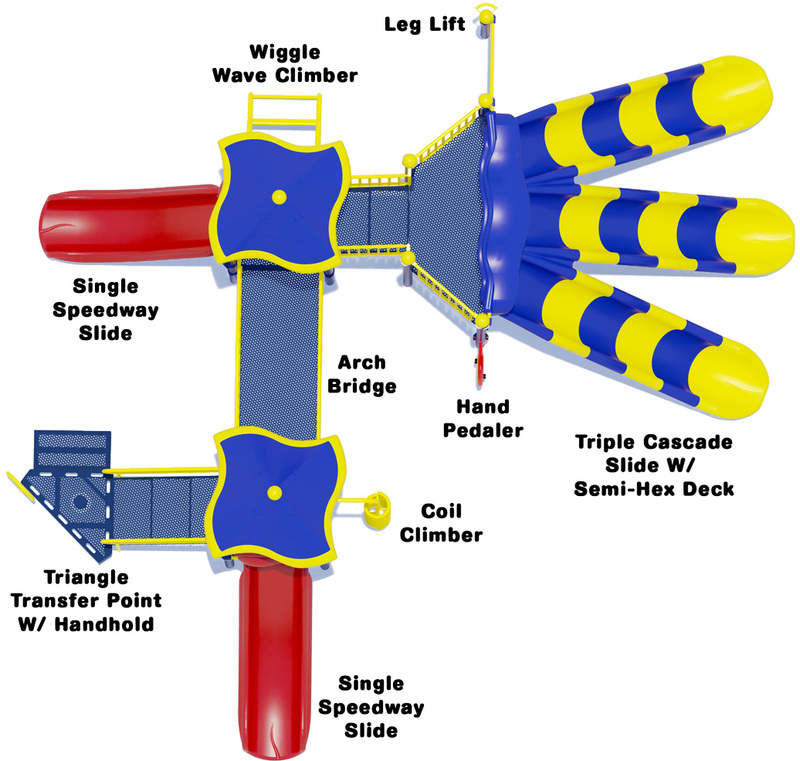 A fun Wiggle Wave Climber and challenging Coil Climber. A Hand Pedlar for independent play and fitness. Two 4' Single Speedway Slides. A Leg Lift and Chinning Bar. Two 4 'Square Roof structures to offer partial UV protection for children at play. Powder coated 12 gauge galvanized 3.5" diameter aluminum posts backed by a lifetime warranty. UV stabilized roto-molded plastic components for long term durability and fade resistance. 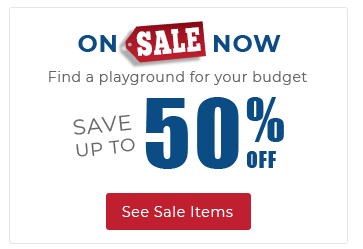 5 Slides, 2 Climbers, Chinning Bar, and More!